More business travelers are choosing home-sharing services, and Airbnb is actively cultivating this clientele, offering business travel services that include “business travel ready” listings. 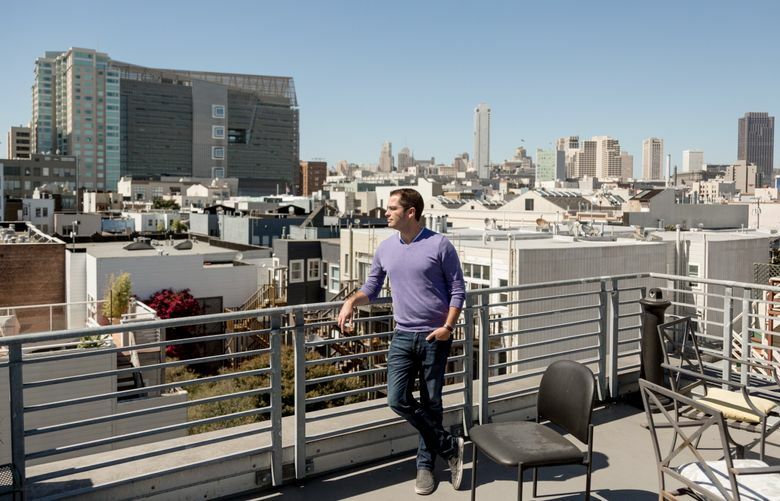 Whether traveling for business or pleasure, Tad Milbourn, chief executive of the San Francisco technology startup Payable, stays at an Airbnb property whenever possible. Because Payable helps clients manage payments, Milbourn is particularly attuned to the services Airbnb has developed for business travelers, and he encourages his two employees who travel to use Airbnb, too. These include the ability to track employees’ whereabouts and spending and to charge expenses to a corporate credit card. Milbourn is one of many business travelers now choosing Airbnb or other home-sharing services, like HomeAway and VRBO, over conventional hotels. A report issued last month by Concur, the Bellevue-based travel and expense-management company, found that the number of nights its 42 million business-travel customers spent in home-sharing accommodations rose more than 50 percent from the first quarter of 2015 to the first quarter of this year. Airbnb is actively cultivating this clientele, having recently reached agreements with three big business-travel management companies in the United States: American Express Global Business Travel, BCD Travel and Carlson Wagonlit Travel. Under these agreements, Airbnb will send data on travelers’ expenditures and itineraries to the travel-management companies, which in turn will share the information with the travelers’ employers, their clients. The employers can then use this data to monitor employee’ spending and travel and to track them down if there is an emergency. But some business travelers who have used Airbnb, especially those whose bosses booked the accommodations for them, warn that bad surprises can sometimes await. When Katie Gilligan, a New Yorker and a former account manager for a London-based ticket-booking service, traveled to London last year on business, her boss put her up for a week each at two apartments booked through Airbnb. The second apartment, in the King’s Cross neighborhood, was owned by a woman who shared the living space and would not let Gilligan use the water or flush the toilet after 8 p.m.
All the more reason, perhaps, to use Airbnb’s business-travel services that include “business travel ready” listings — accommodations geared toward travelers’ specific needs. To qualify, a lodging must meet various criteria, including high customer ratings; 24-hour check-in; accommodations that are an entire home or apartment, not shared with the owner; the availability of Wi-Fi and a laptop-friendly workspace; and an iron, a hair dryer and other amenities. Chip Conley, head of global hospitality and strategy for Airbnb, said that more than 70,000 companies had made bookings through Airbnb for Business, a program introduced last year that features listings and travel-management tools. Some in the industry acknowledge the potential benefits of using services like Airbnb, and see some of the drawbacks. Airbnb’s affordable offerings could help budget-conscious attendees of conventions and meetings, Deborah Sexton, CEO of the Professional Convention Management Association, said in an email. Home-sharing accommodations can also offer an attractive alternative when hotel rooms are sold out, she said. Depending on its location, an Airbnb property might not be the most convenient option for a business traveler, particularly someone attending a conference or convention, Sexton said. Sexton and some other experts also raised safety and legal concerns. Although Airbnb offers host protection insurance, which provides primary coverage for Airbnb hosts and landlords in more than 15 countries against liability claims of up to $1 million, the coverage does not apply to liability from assault and battery, sexual abuse or molestation, or to acts of terrorism, among other events. William A. Brewer III, a lawyer in New York and Dallas who represents hotel owners — typically some of Airbnb’s staunchest opponents — said hotel owners, managers and franchisers had an obligation to reduce foreseeable risks. For the traveler, he said, the question is whether the providers of lodging have a balance sheet strong enough to pay for their negligence if trouble occurs. “I believe this is why businesses often place their faith in well-known hotel chains when booking employee travel,” he added. But those concerns might be offset, Brewer said, if a traveler were on a long-term assignment and the employer could cut costs significantly by booking an Airbnb property. It is also not clear whether Airbnb’s continuing battles with local governments in New York, San Francisco and elsewhere could hamper its business-travel strategy. Airbnb has sued San Francisco over a June decision by the city’s board of supervisors to fine the company $1,000 a day for every unregistered host on its service. That followed a bipartisan move by New York lawmakers, who voted to heavily fine anyone who used Airbnb to rent an entire apartment for fewer than 30 days — a practice illegal in the state since 2010. Nick Papas, an Airbnb spokesman, said the company would not let those disputes deter its efforts to cultivate a business traveler clientele. “Thus far, we’ve seen that business and leisure travelers remain eager to use Airbnb in New York and San Francisco,” he said. Bjorn Hanson, a professor at the Tisch Center for Hospitality and Tourism at New York University, said the travel-management companies’ agreements with Airbnb showed that they were “effectively endorsing” Airbnb.